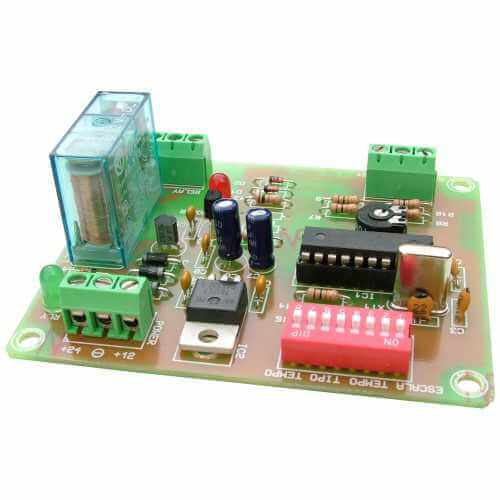 The CI300 is a 1 sec to 60 min multi-function delay timer module. 14 timing modes include simple Delay Timer, Delayed-On, Re-Triggerable and Turn-Off Delay with Pause, Cumulative, Reactivation and Resetting of the delay period. Time duration is set using onboard potentiometer and DIP switches that break the 60 minutes into 8 manageable time blocks. Timing mode set using DIP switches. Time and mode settings are retained if power is removed. Inputs for Start and Reset buttons.